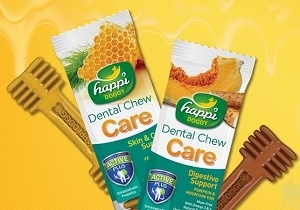 At Doggyfriend, we want to carry all the products you'll ever need to keep your animal friends happy and healthy. 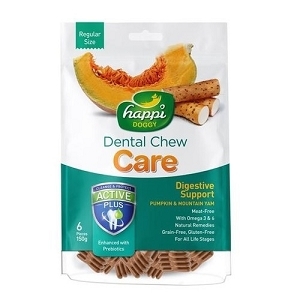 Happi Doggy dental bones and treats are right up our alley! 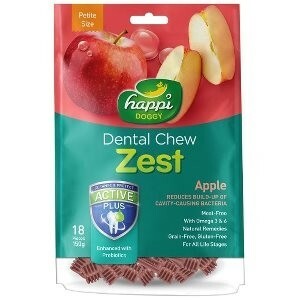 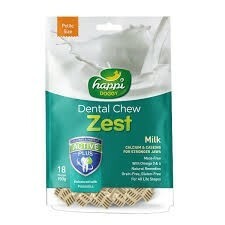 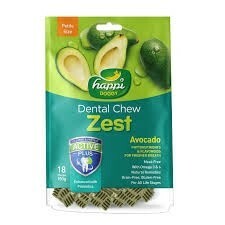 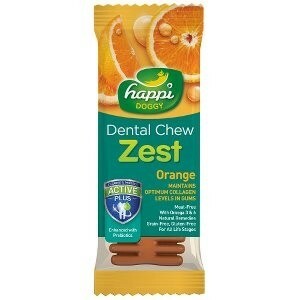 Available in several delicious flavors, Happi Doggy dental bones are a great, tasty way to assist your dog's oral health. 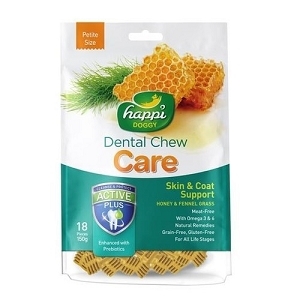 They also support healthy skin and a glossy coat. 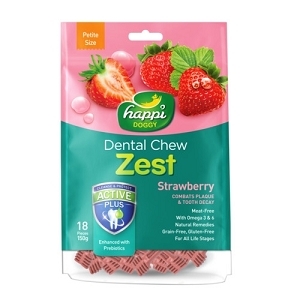 With such a variety of dental chews available, you can find one for any dog with conditions such as constipation, diarrhea, other digestive problems, sensitive or dry skin, and more. 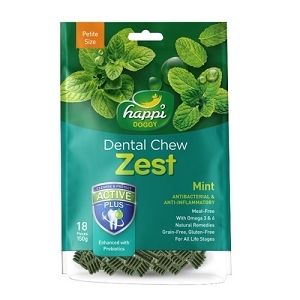 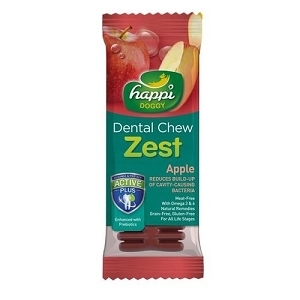 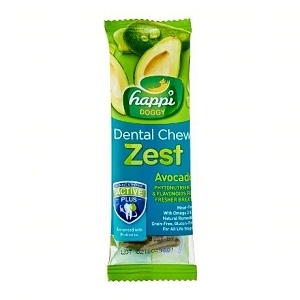 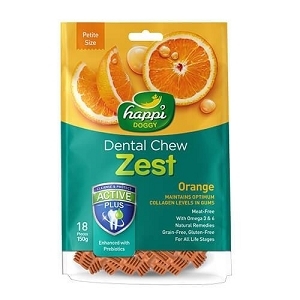 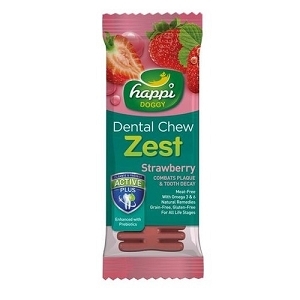 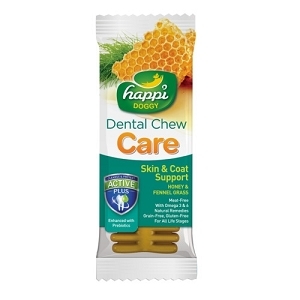 These dental chews are safe for dogs to gnaw upon and eat to their heart's content, and they provide support to help with these conditions and more, all while cleaning teeth and freshening breath!